MOSCOW, March 19. /TASS/. 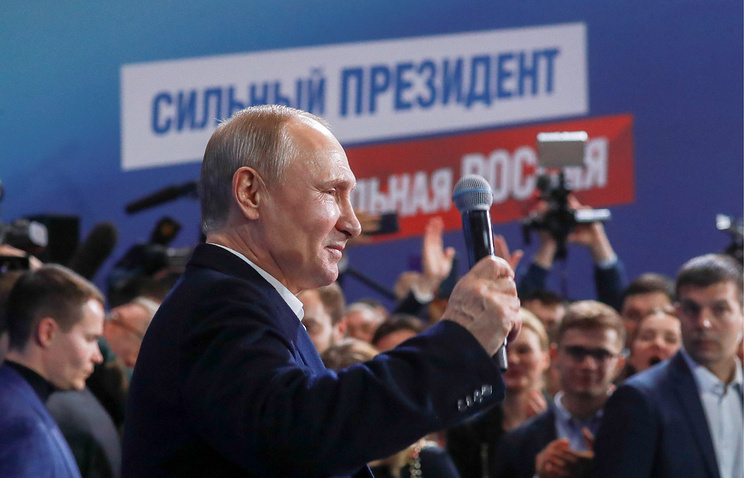 Vladimir Putin has won almost 71% of votes in the Russian presidential election in Moscow polling stations on March 18, Chairman of the Moscow Election Commission Valentin Gorbunov told reporters. "The turnout was immense, also thanks to the festive atmosphere. Putin won almost 71% of votes in Moscow," he said. Pavel Grudinin secured 12.47% of votes in Moscow, while Vladimir Zhirinovsky won 4.7% and Ksenia Sobchak, 4.08%. As many as 59.95% of Moscow residents took part in the election and 99.92% of statements of votes were processed. "A specific feature of this campaign is that the election commissions and the voters worked as a single mechanism. <...> There was not a single conflict or a withdrawal of observers, or complaints over voters during the vote counting. Everyone was concentrated on effective work," Gorbunov noted. He added that, pursuant to the statements of votes of the district election commissions, almost 173,000 of voters cast their votes outside polling stations. About 4,000 people voted in pretrial detention centers and about 7,500 at railway stations and Vnukovo Airport. According to Gorbunov, the number of those who voted for Vladimir Putin grew by 1.2 mln people, which is 1.6 times more than in 2012. 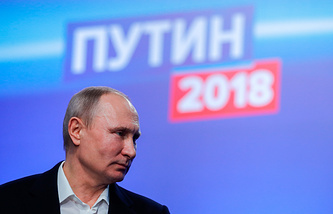 "Concerning the leaders’ votes, Vladimir Putin won about 3,202,000 votes, which is 1.6 times more than he won in Moscow in 2012, up 1.2 million votes in raw numbers," Gorbunov said. Eight candidates took part in the Russian presidential election: incumbent President Vladimir Putin; Pavel Grudinin, director of the Lenin State Farm (nominated by the Communist Party of Russia); TV personality and socialite Ksenia Sobchak (nominated by Civil Initiative); Sergey Baburin, head of the Russian People’s Union party; Maxim Suraikin, chairman of the Central Committee of the Communists of Russia party; Boris Titov, chairman of the Party of Growth and Russian Presidential Envoy for Entrepreneurs’ Rights; Grigory Yavlinsky, head of the Yabloko Party’s federal political committee; Vladimir Zhirinovsky, leader of the Liberal-Democratic Party of Russia (LDPR).